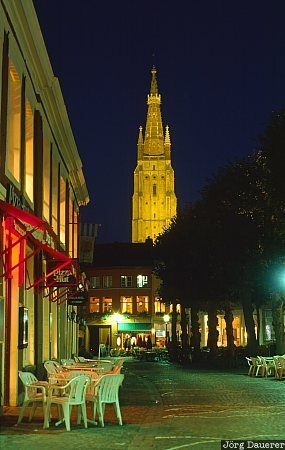 A restaurant with desks on the street and the flood-lit tower of a church in the background in Bruges at the blue hour after sunset. Bruges is in Flanders in the north west of Belgium. This photo was taken after a Sunday in September of 1997.